Luxury Self-Catering Accommodation for Holidays, Short Breaks and Business Travel. 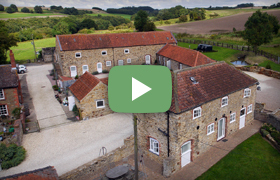 A superb rural location in one of the most attractive areas of the Lincolnshire Wolds, an area of outstanding natural beauty. The cottages enjoy a lovely peaceful location with panoramic views over surrounding meadows woodlands and valleys which also provide a habitat for deer, wild birds, badgers, foxes and wildlife. Spring water from the farm supplies the barns and farmhouses at our Ash Farm complex. Organic eggs and produce is available from the garden in season. Call Carole & Peter Wright 01673 838 272 (Home) 07787 771 334 (Mobile) if you would like to book.